so I can use both lengths of cases. 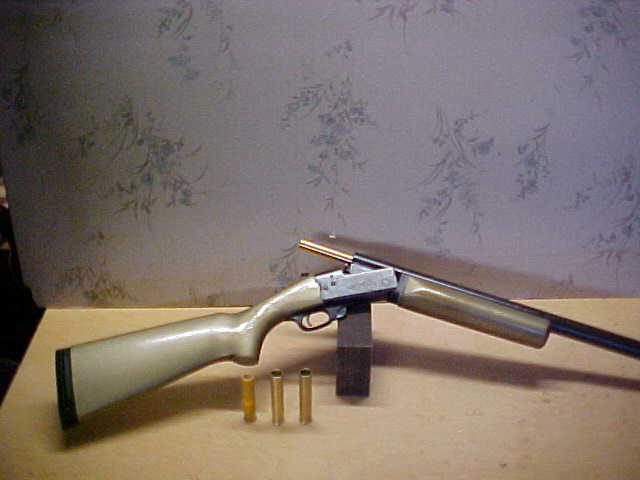 long brass has shotgun primers. smooth barrels with some accuracy. 8ga is 1100gr. reciever built to have more strength and safety. Well Savage helped us out. 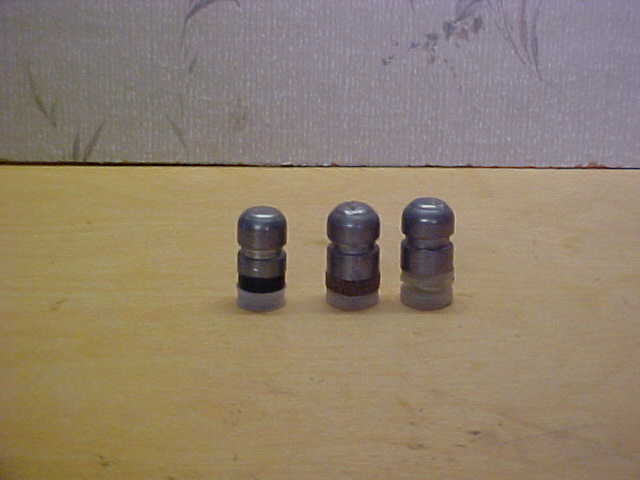 Its reciever is 1.5" diameter, where the 210 was 1.36" dia. barrel thread area so about 50% stronger barrel connection. got more measurements. The port is 3.812" long. Can be made longer. 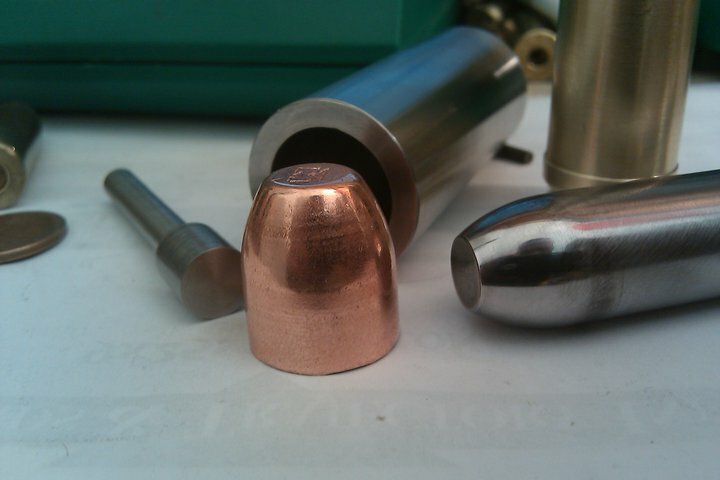 Bolt travel is 4.625" and can be .50"
a round nose copper jacket, that can be filled with lead. hookup down for afew days..
the first 16GA FH in thin barrel break action at 1600.
saboted with locked on base. block design, like the 4ga I've done pictured earlier. cases for where length is limited.. 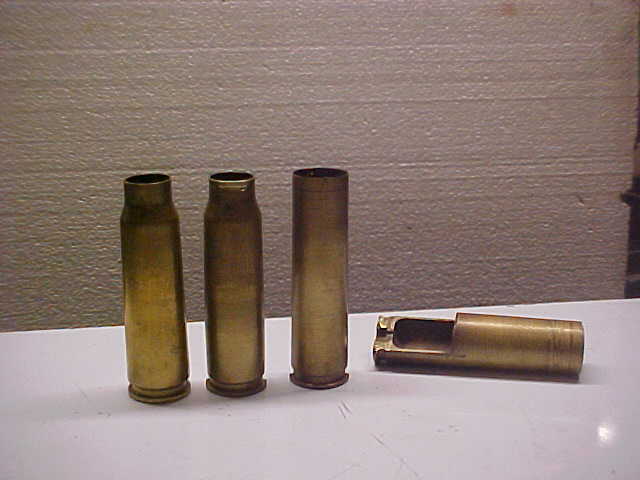 Using 770 gr saboted slugs with locked on base, by US-S.
Thes are long saboted slugs due being brass and locked on base. and IMR 4759-4227 that I like to use. With 770 gr and 60gr 4759 got 1450 fps. With 75gr Re17 about 1350 fps. 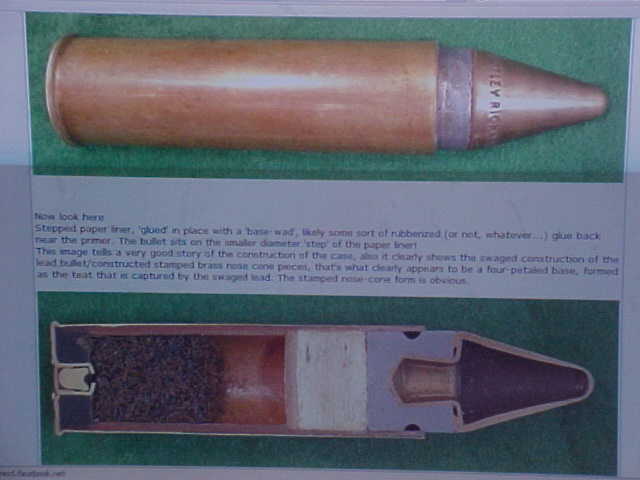 Both of these all case will hold under sabot. powder room, with 95gr 4759 getting 1800 plus and 130 gr RE17 1700 fps. speed like full bore slugs get. real small inside radius on this particular RMC brass case. 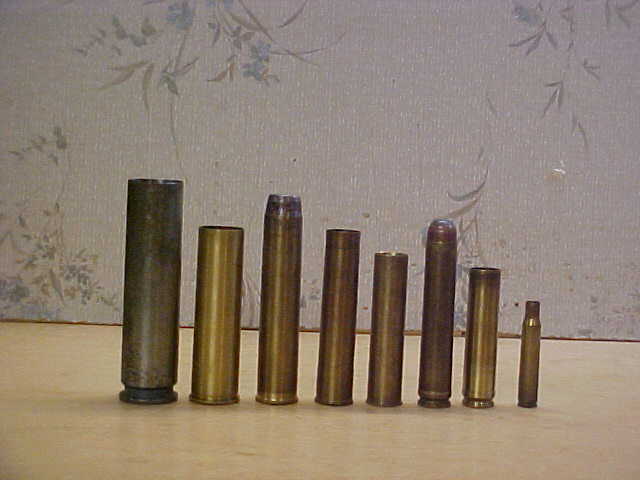 47gr Steel,and 770 gr slug 1400 fps. 65gr 4759 got 1650. You can put in more Steel but cases stick. And cases expanded that way are hard to resize. to use shorter cases, you can use plastic, as a 3" plastic is 2 5/8"
the back. He uses a big hammer, works great. 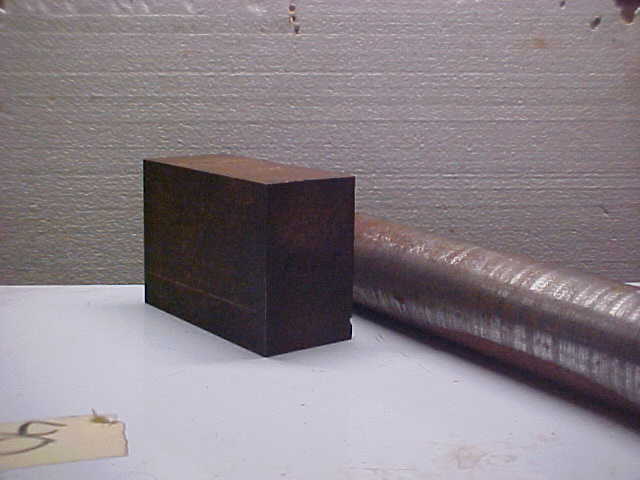 solid turned slug from solid rod or soft lead slug. 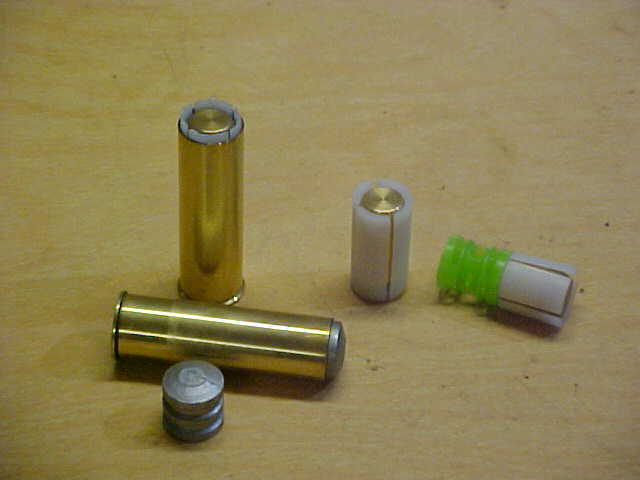 1/2" caps can make .700 and 12ga size jackets. 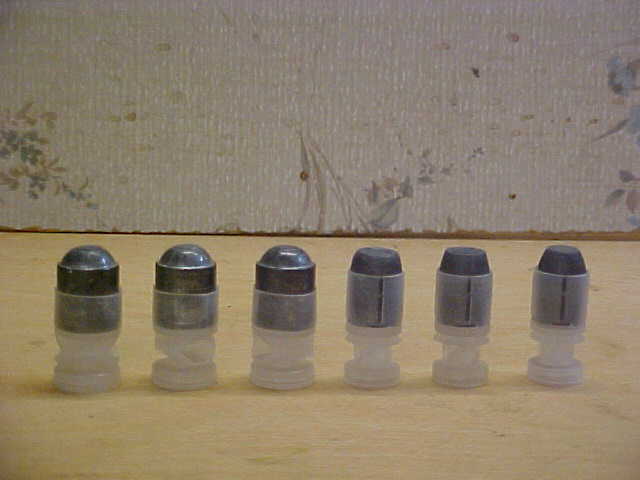 5/8" caps can do 8ga and maybe 10ga jkts. without a 20 ton stamping press. Mil Photo Forum a big world wide forum..
about 104,000 views, 4th one about 102,00 views. head space on. It is called the Inch Gun by some. We are doing an 8bore falling block. 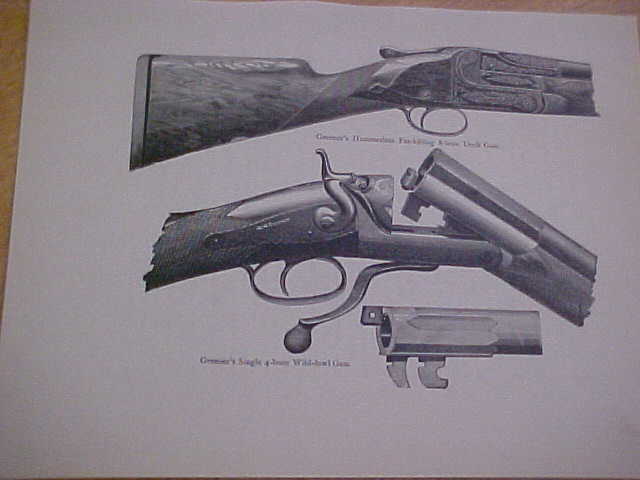 and uses same linkage and lever; same hammer and trigger. same design, but just be wider on the top of the block. from a 2.5" thick blank......mostly by hand. 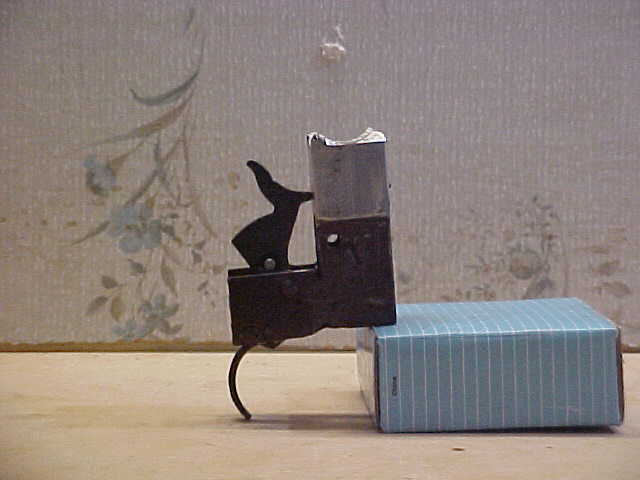 little, in a 12ga wad cup. 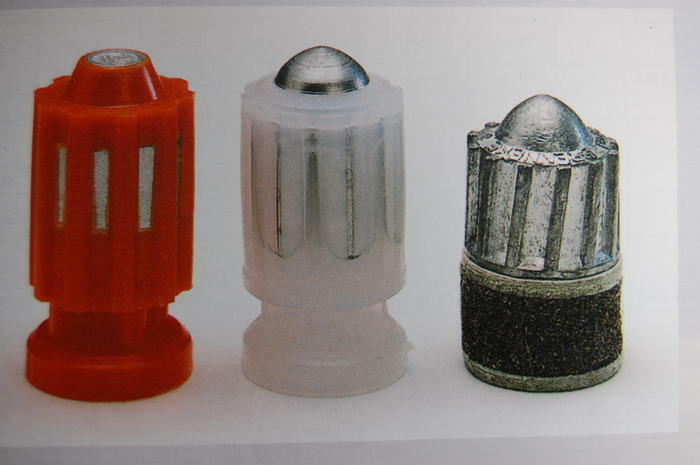 petals, by European Cartridge. Accurate in smooth bores. 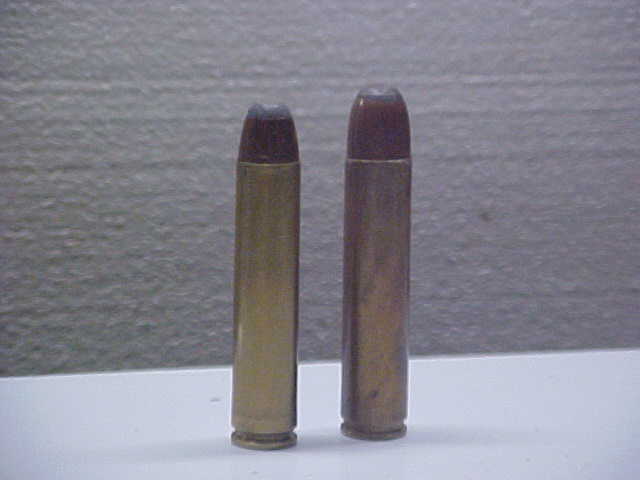 big cases with smaller 30-06 for comparison. 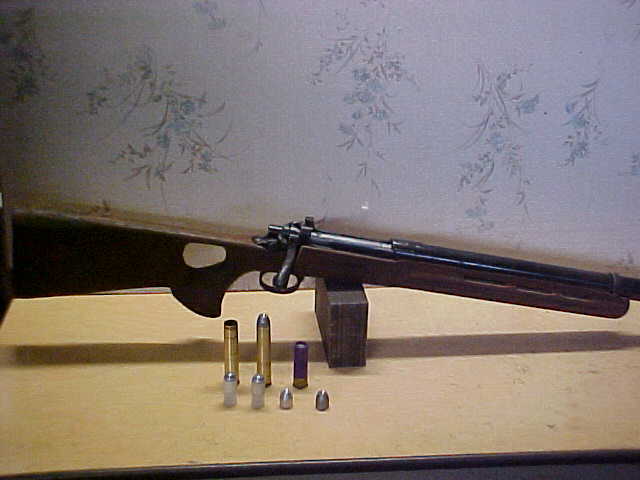 my 700HE long case, my 700H 3.25", and 06.
slug load for more speed..
about 5 inch pattern at 100 yds. And still had 1800 ft lbs energy at 100yds. 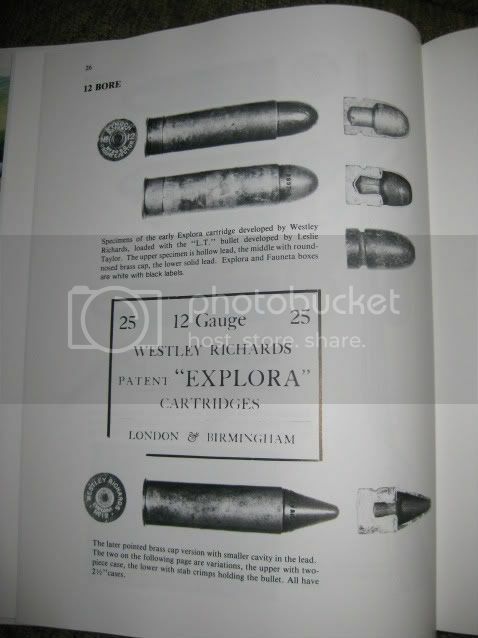 of what the early big bore guys did. above, and the guys really like them. Quite interesting. 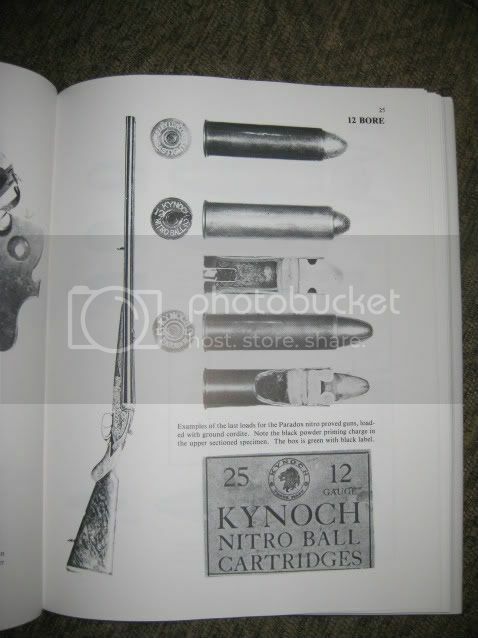 Manton catalog showing, 1st picture, many brass case old time slug loads. 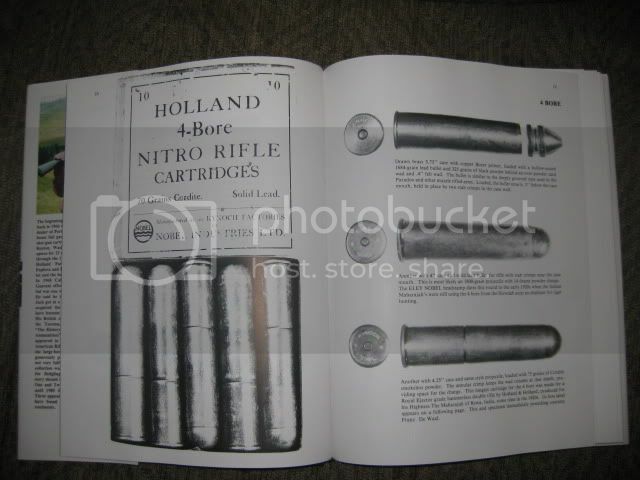 Both Pictures below from lancaster and CptCurl on Nitroexpress. 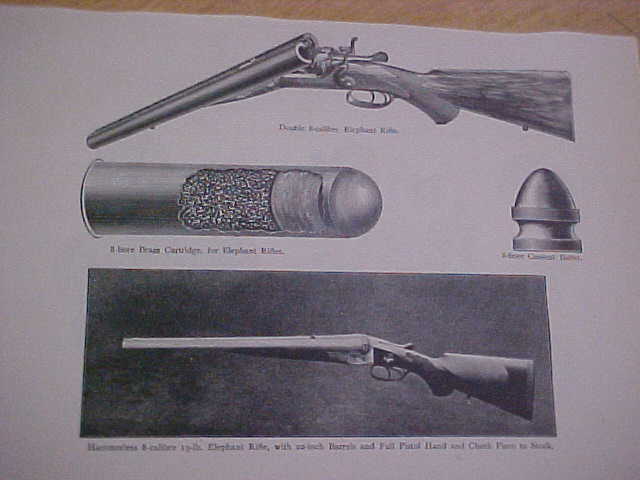 3rd picture is from my Greener book, of double 8ga elephant guns. 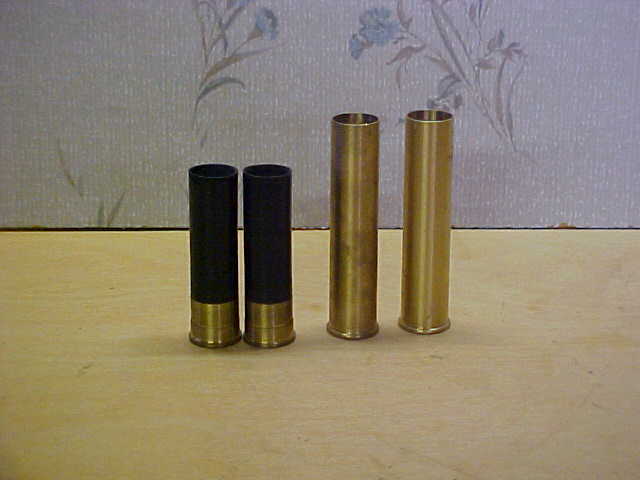 brass cases with shotgun primers for modern 12ga guns. Mag primer about a foot of flame. 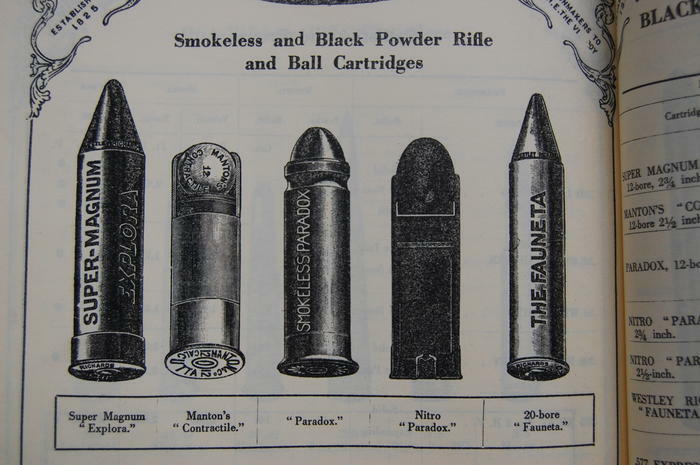 a variety of slugs being promoted and used a century ago. Hey now, I hope you're poking a little fun with that comment. This thread is a treasure trove of information. Granted it is extremely niche specific in scope but ... it is very rich in information. I look in on this thread as new posts are put in over the years. I hope to see the author contine to add to it as he develops new techniques. 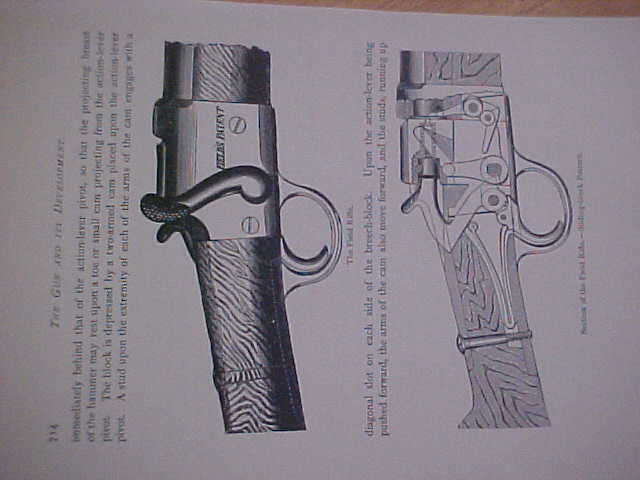 side levers, looks like lever works forward. out to the two bore size. in that hunk of 4130 steel. IE, head spacing on the mouth and extractor. 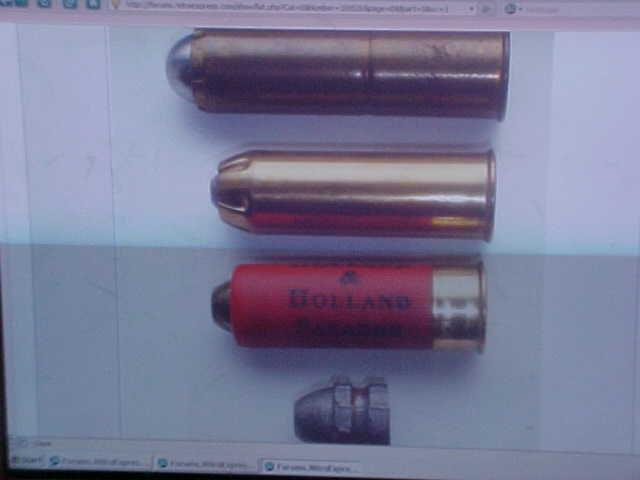 Using 600NE .620" diameter bullet and 2.7" long case. Case could be shorter or longer like the 585 one. book here, is of older 4 and 8 gauges. 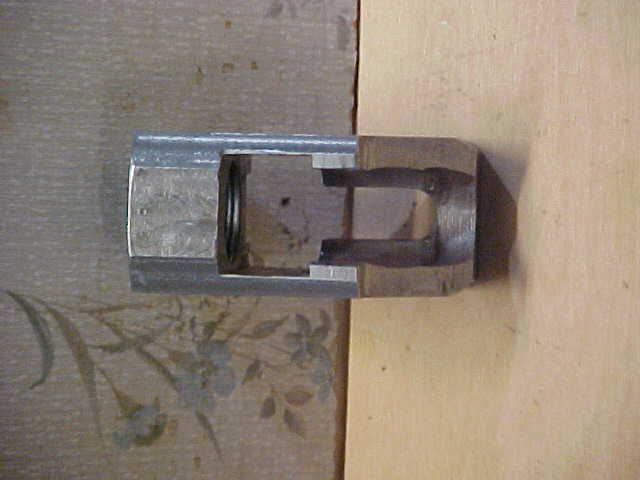 to size which leaves base smaller than rim, for rimmed case. Then 3rd case has top expanded to take 1" diameter slug. last shows the thickness and strength of finished case. from 30" heavy barrel. Load was 75gr of 4759. Last edited by hubel458; 12-06-2011 at 02:15 AM. 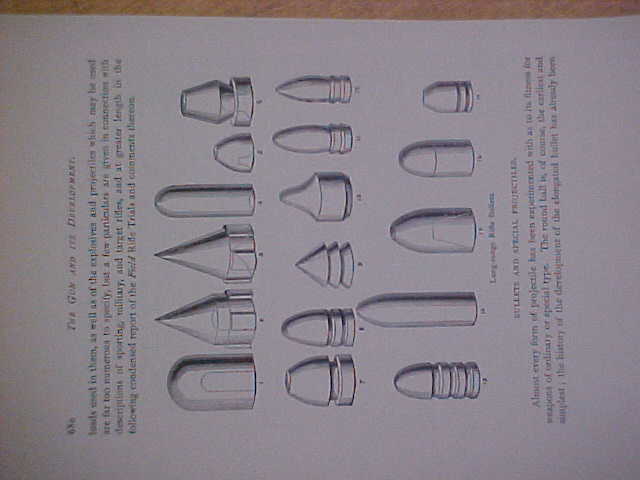 loaded rounds for big bucks, if available at all. the base it flies pretty good from 8ga smooth barrel. 10ga wadcup about same speed and same accuracy. out of 28ga NEF modified choke barrel shoots same at 30yds. 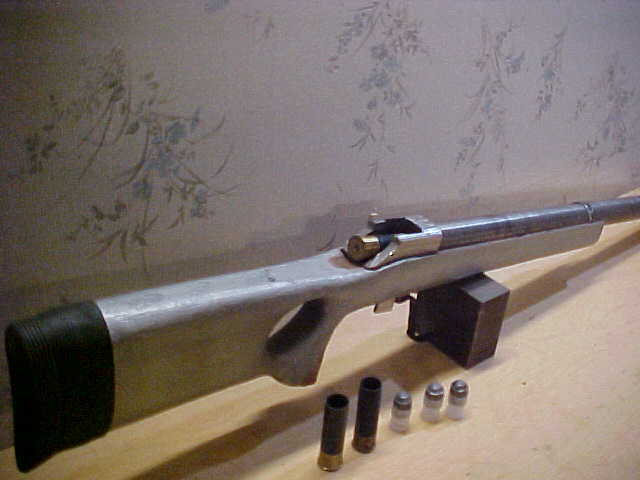 A different, interesting style, of 12ga slug, from Russia. 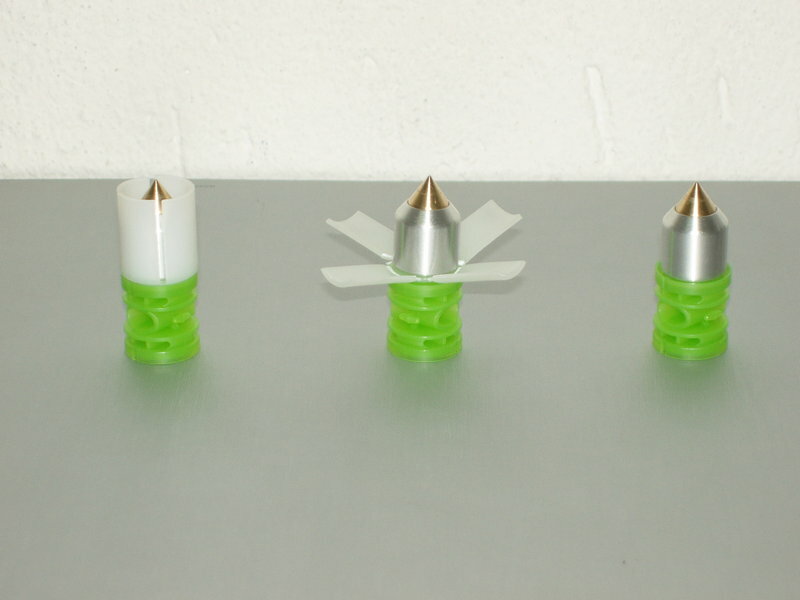 First picture loaded round, in plastic, roll crimped. Second, two types of slugs they have on the same base. 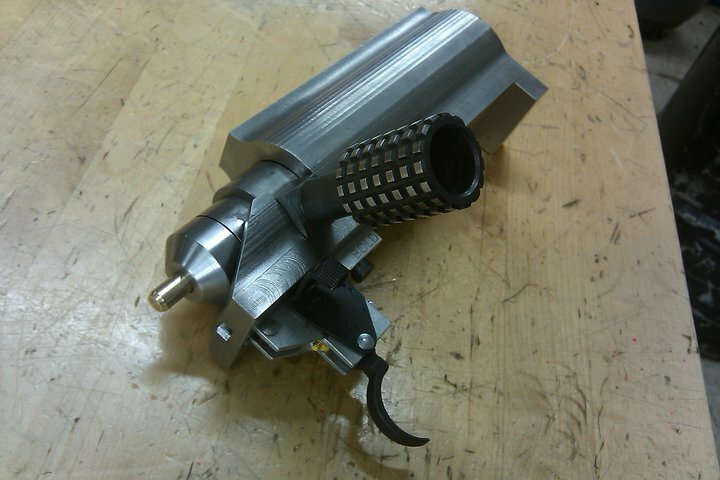 Base for rifled barrel, little smaller diameter than the front.